Imogen's Typewriter. 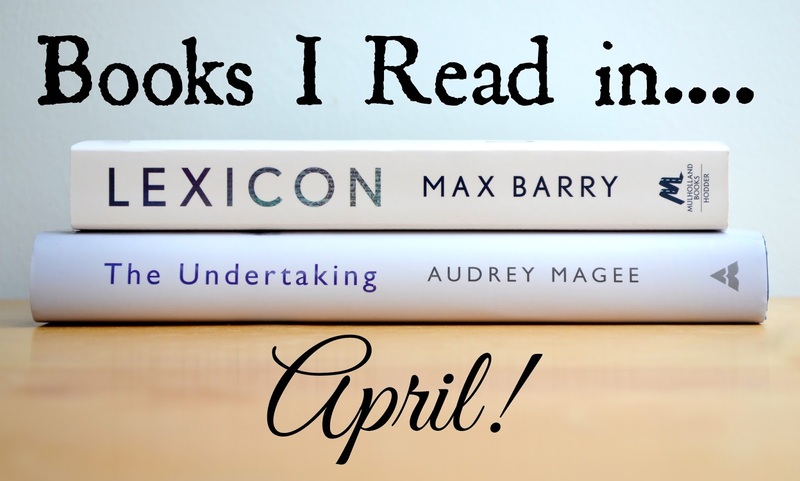 : Fiction Friday: Books I Read in April! This may possibly be one of the best books I've ever read. Honestly I struggle to even put it into words. It's basically a thriller where certain words have the power to pull down peoples defences and make them do things, kind of like the imperius curse in Harry Potter. But so much more. The characterisation was flawless, as was the development of the story. The two sides of the tale run together in a way I was not expecting and when I finally figured it out I think I actually put my head in my hands for about five minutes because of how beautifully crafted this novel is. I've already bought a copy to give to a friend of mine. Enough gushing? In short, read it. Dear god, read it. I definitely need more of Max Barry's writing. It took me a while to read this book because my dad nicked it the day it came in the mail and read it in a day. So I was excited to finally get to read it even though I'm not a big history fan, at least not the wars. I like happy endings more than anything but this book intrigued me. Told from the point of the view of a German soldier and the woman he married without ever meeting, you're brought through the war over around 10 years in quite a short book. I did find myself cringing at certain parts, I would beware this book if you have triggers because Magee doesn't shy away from the brutalities of war. An easy read, but difficult subject matter. I found it hard to rate this one, it's a good book but I just felt there was something missing for me personally. I have a sticky note system when I read a book and this barely had any stuck in. Not a good sign. Have read any of these books? What did you read this month? *I won these from Goodreads giveaways, I'm not obligated to talk about them on my blog, I just read them this month.